So you’ve got an old incan MagLite sitting at the back of the shelf that you’d like to breath some new life into, but you don’t want to spend a fortune on doing it and you’re not really interested in a custom build? 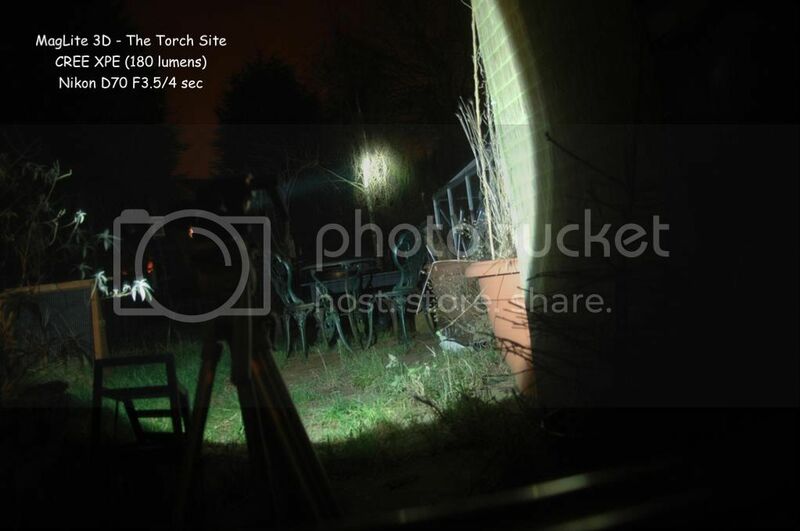 Making the assumption all you want is a good usable light, then The Torch Site (TTS) might well have the answer for you. 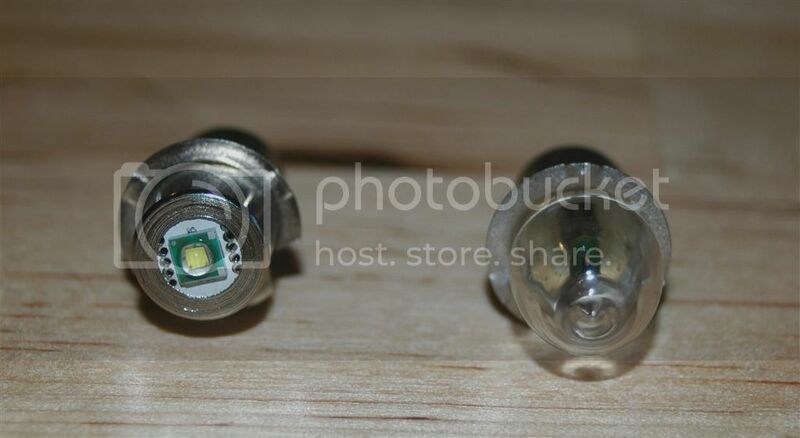 Currently they offer two replacement bulb type drop in’s for the D Series MagLite. Both drop in’s can be had in a 3-4v range for 2D MagLites and 4-9v range for the 3D to 6D MagLites. 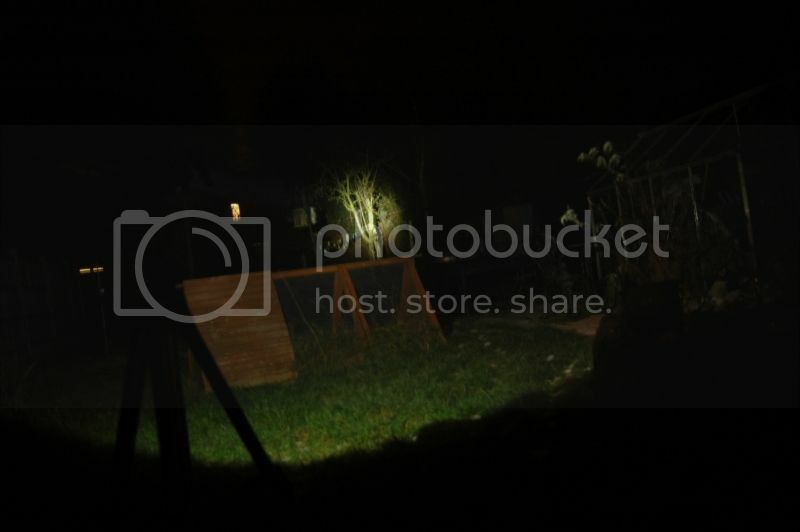 The two drop ins are a 180 lumen XP-E and a 200 lumen XP-G R5. The bulb has function of “TACP” (Temperature Auto Control Power). That means the output power of bulb’s driver will be controlled automatically according to different temperatures. 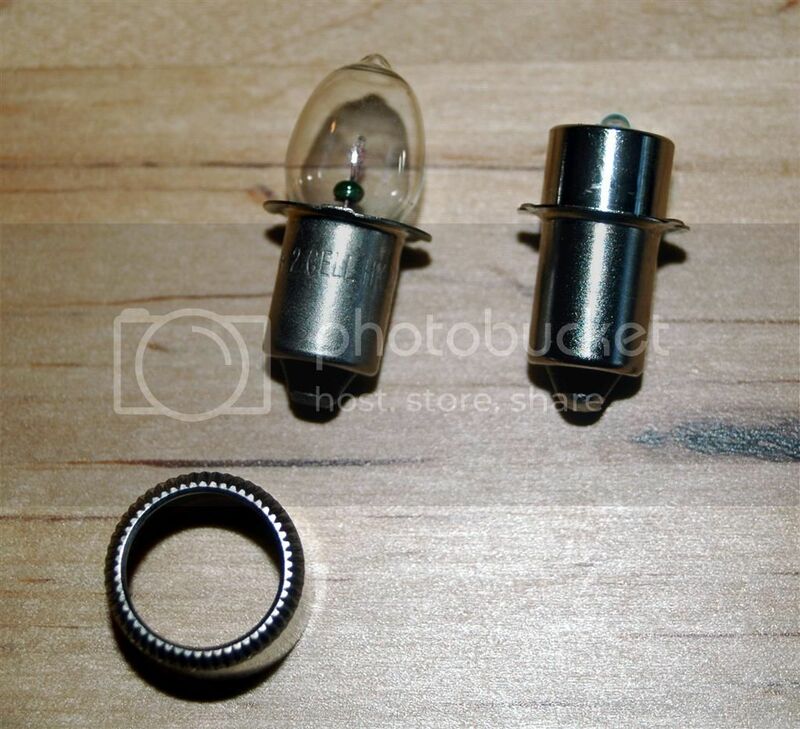 The bulb has reverse polarity protection. 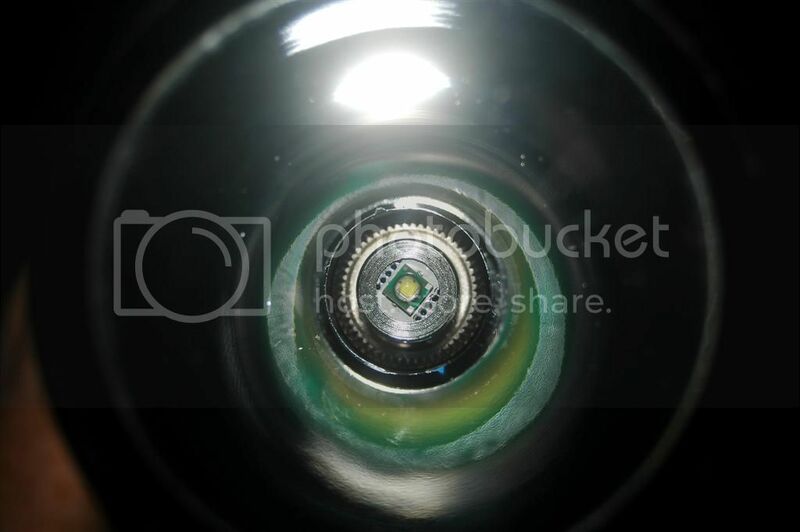 The LED bulb has polarized contacts with the positive supply to the base (typical standard torch set up), however if the contacts are connected in reverse the LED will not light but no damge will be done and it will work when the polarity is corrected. The XP-G R5 looks very similar and functions and installs in the same manner as the XP-E variant, however I’ll concentrate on the XP-E for the photos and text. As you can see this truly is the easiest of drop in’s, it’s nothing more than changing a bulb on a normal incan MagLite. It also has the advantage that it is easily reversible should the need arise. Heatsinking, ok this might be an issue. The only good thing is the drop in is thermally regulated, so at least you can know you can use it without causing damage. That said, the total amount of metal in the drop in and in the MagLite itself probably equals that of many other budget lights. In real use I have to say I’ve not noticed it get anything but warm, the actual drop in that is, when touched after use and I’ve never visually noticed a lumen reduction, although I’m sure it probably happens. All in all , while heat could be an issue, it doesn’t actually appear to be a problem in real world usage. Once fitted it’s a simple on/off arrangement as per a standard MagLite, which personally I still like. 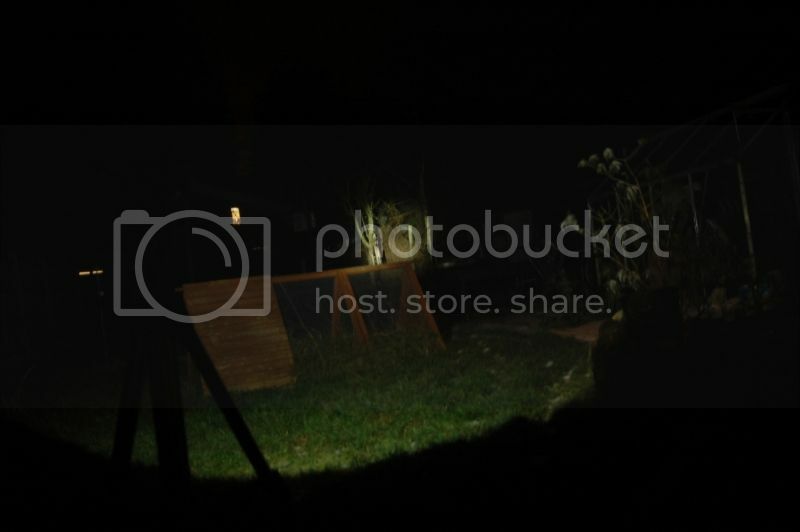 Multi-mode flashlights are handy, but sometimes simplicity is all you need. 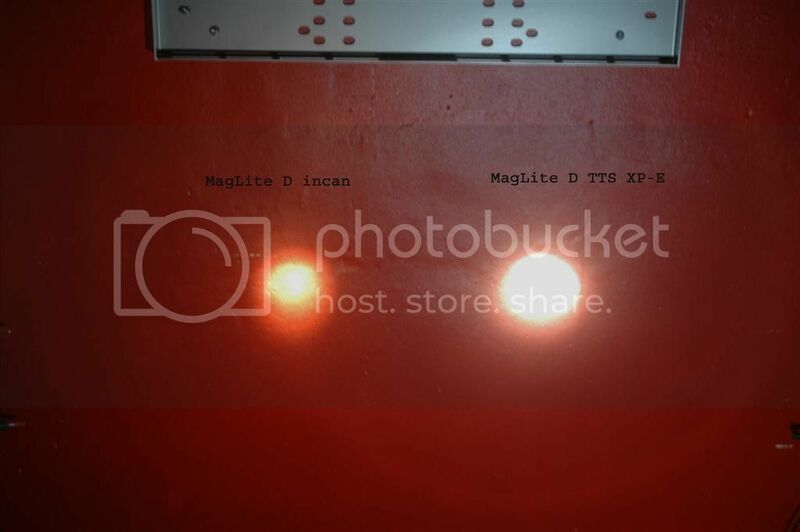 Here is a comparison to regular incan 2D MagLite, as you can see the spill light is much brighter on the XP-E, in real use this spill is now a nice illumination in front of you when walking outside and very handy. 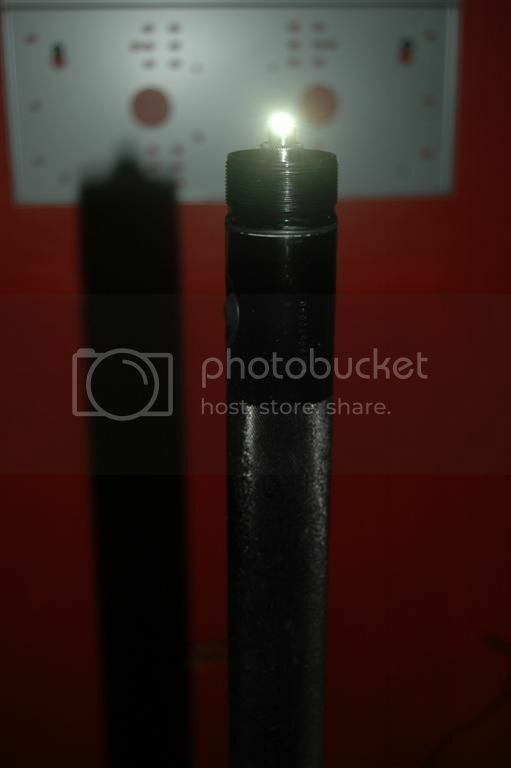 Another nice feature is the MagLite still retains it’s focusable beam, with the LED in place this works better than ever and it also produces a much nicer, more artifact free beam than with an incan bulb. There are a couple of rings due to the SMO reflector, but once outside you really can’t see or notice them. Outside is really where these drop ins truly shine. The increased spill is immediately noticeable and useful. 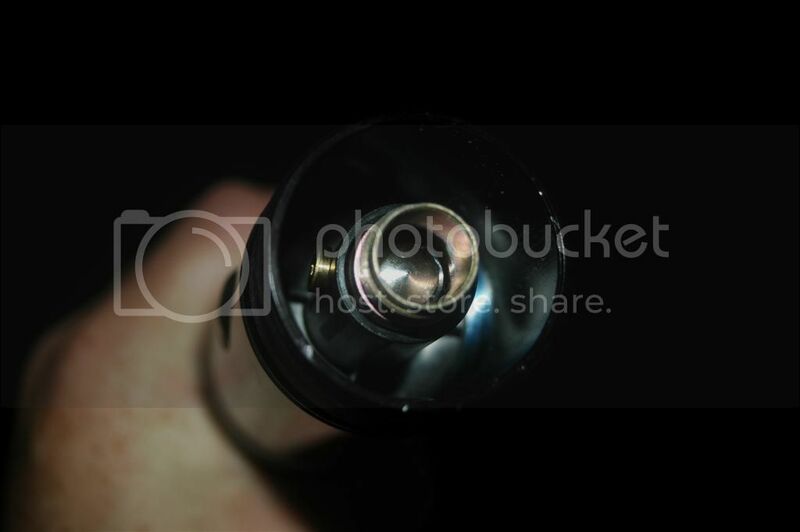 But it retains the MagLite’s ability to throw, in fact it enhances it. Despite it’s relative low lumen claim, the XP-E drop in will still throw about the same distance as my XM-L equipped Small Sun ZY-T16. 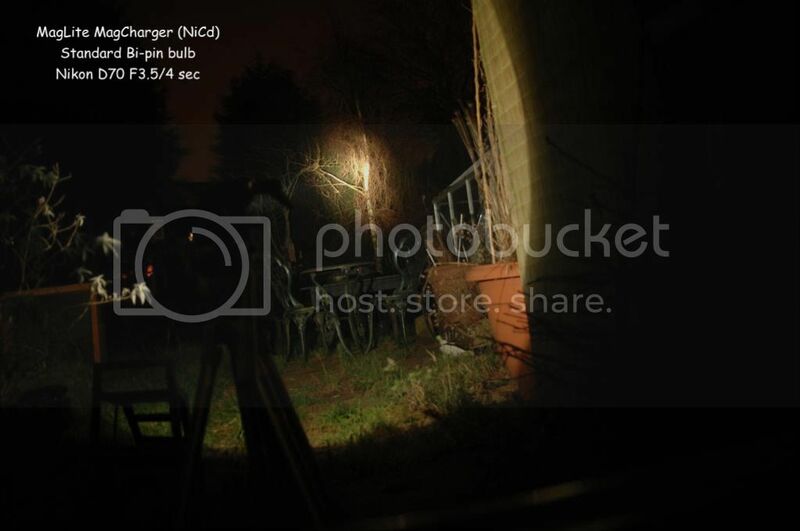 Not bad for a D powered flashlight verses a 2×18650. Comparison of the 200 lumen XP-G R5 and the 180 lumen XP-E. As you can see the XP-E has the tighter hot spot (and will throw slightly further), but the XP-G has slightly brighter spill and a wider hot spot. TTS claims these are fully regulated. I have no way of testing this, but I believe it. I tried the XP-E out in a 6D running some very flat batteries that were over 2 years out of date and could only make the standard incan bulb glow compared to how it should work. Even these depleted cells seemed to power the drop in as well as fresh cells do. In terms of run time, I’ve been running the XP-E since Nov last year (over 10 months!) and the XP-G R5 a month or so after that. 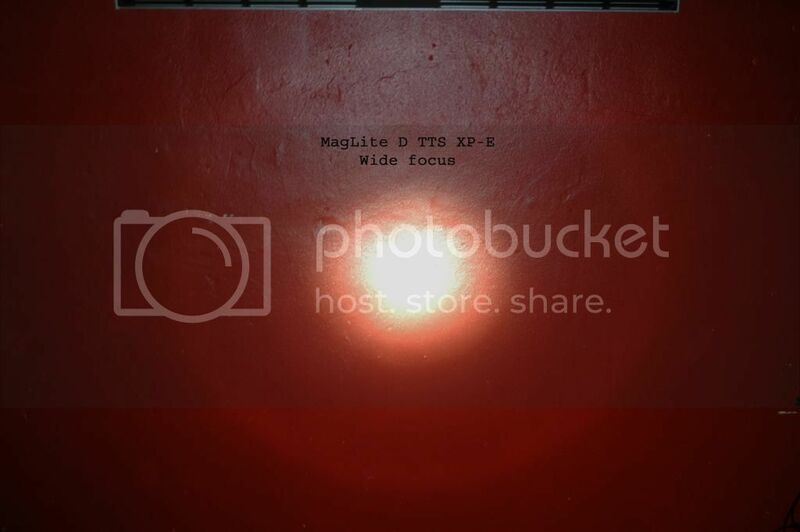 Both MagLites are still on the same Duracell Powercells. I have no idea of actual run time, but it must be days worth for constant use. Do these drop ins revolutionise the flashlight world? Simply put, no. They do however offer a second lease of life to a trusty old MagLite and offer up usable reliable light that is great for outdoors or as a backup light in a vehicle. The MagLite is still as well built and robust as ever and with these drop in’s it is now significantly brighter with hugely increased battery life. They also offer hugely greater throw than most compact LED flashlights are capable of today, even ones with 400+ lumen claims. 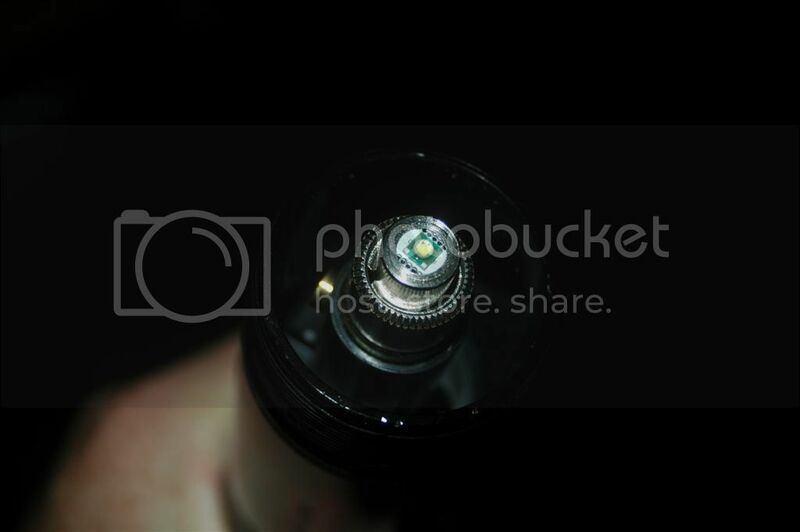 D cells are still easy to buy and if you prefer a leak free option or rechargeable then you can always opt to run your D Series MagLite on rechargeable NiMh AA’s such as Eneloops via easily available adapters. Thanks for sharing! I have a 2d mag just laying around, was wondering what I should do with it. This might be what I have been looking for. Almost $40 for that and the new lens shipped to the U.S. wonder if these are available anywhere state side. I admit it is a much better deal for us UK residents (a rare achievement), the $/£ exchange rate does sully the price somewhat for you guys in the USA. However over here the cost of one of these drop in’s is likely cheaper than many budget lights and this way you still retain the high build quality of the MagLite with acceptable performance. Thanks very much! Frontpage’d and Sticky’d. Gotta wait... the Camry needs new ignition coils so there goes my light budget for the rest of the year and 2013. I’m in love with that XP-E! I just want one for the 2C Mag currently sidelined. be even smoother with the fivemega light orange peel custom reflector that i have in the mag 2d rop. I have the TTS XPG R5 Drop-in and I have to say I have been very impressed with it. 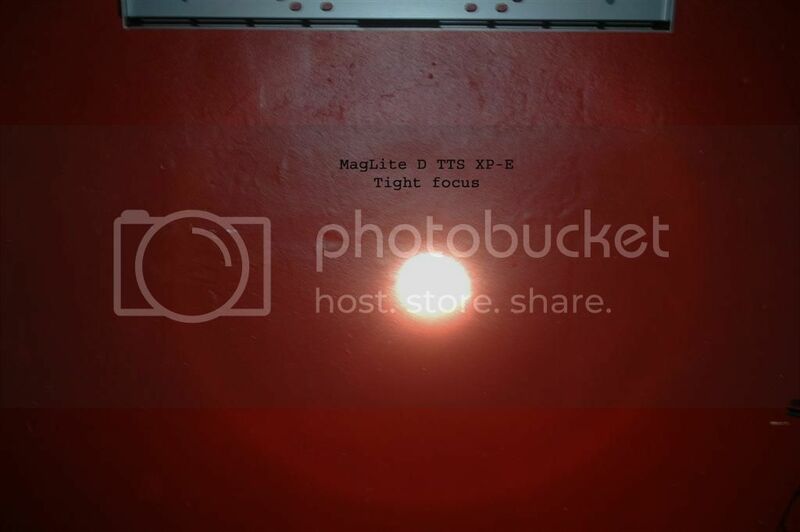 The tint is very nice, as are most XPG’s in my experience. It is not the brightest light I have but then if it was driven harder it would most definitely have problems with heat build up. 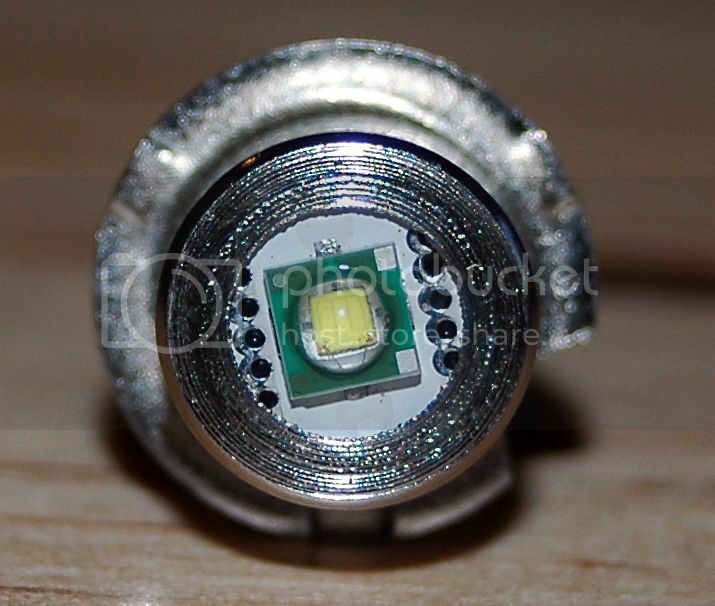 As for the light output mine seems brighter than the stated 200lm. It pull just under 700ma, which would suggest at least 250lm. I had a conversation with the owner of TTS and he says it has a run time of 17hours on alkalines. Which is very good and by my reckoning, nearly 3 hours from 3 eneloops. It is a great way to mod a Mag without damaging the torch in anyway. Eagles may soar, but weasels don't get sucked into jet engines! I missed this thread. That beam pattern looks good. I expected the opposite from an ican reflector. Nice, non-invasive mod.